Spinal cord injuries are one of the most devastating types of injuries because of the great effect these types of injuries have on the body and its ability to function and move. While there are medical conditions that can result in spinal cord damage, a large number of spinal cord injuries are the direct result of a traumatic accident. However, most of these “accidents” are far from accidental and are instead the result of negligent and/or reckless behavior and were actually completely preventable. Lynn Harris is a personal injury attorney who works hard to collect compensation for clients who have suffered financial and emotional damages due to the poor choices of another individual or party. Incomplete spinal injury: An incomplete injury is a term used to describe an injury in which some sensation or movement is possible below the site of injury. Complete spinal injury: A complete spinal cord injury is one in which all feeling and movement is lost below the site of injury. Central cord syndrome: This type of injury describes damage to the center of the cervical area of the spinal cord, which carries signal between the brain and spinal cord. As the result of this type of injury, patients may experience weakness or paralysis in the arms and/or legs. Brown sequard syndrome: This is an injury in which only one side of the spinal cord in injured. The body is likely to be partially or completely paralyzed on the side of the injury while the opposite side of the body will lose temperature and pain sensations. Spinal contusions: The least severe of spinal cord injuries, spinal contusions describe bruising or internal bleeding of the spinal cord. These contusions will result in swelling and possibly a temporary debilitation of the spinal cord. Lynn Harris specializes in collecting compensation when clients have been injured because of the reckless or negligent behavior of another. Financial compensation for a spinal cord injury may be collected for medical expenses, the loss of wages or future earning potential, emotional and physical suffering, and possibly long-term disability. Attorney Lynn Harris has over 30 years of experience with personal injury cases. 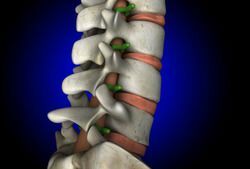 If you or a loved one has suffered a spinal cord injury, it is important to act quickly. Contact us a soon as possible to discuss your case and learn about the financial compensation you may be due.